Klik di sini untuk mencari promosi lain dari Seda Vertis North. It’s time to Wine down at Straight Up! 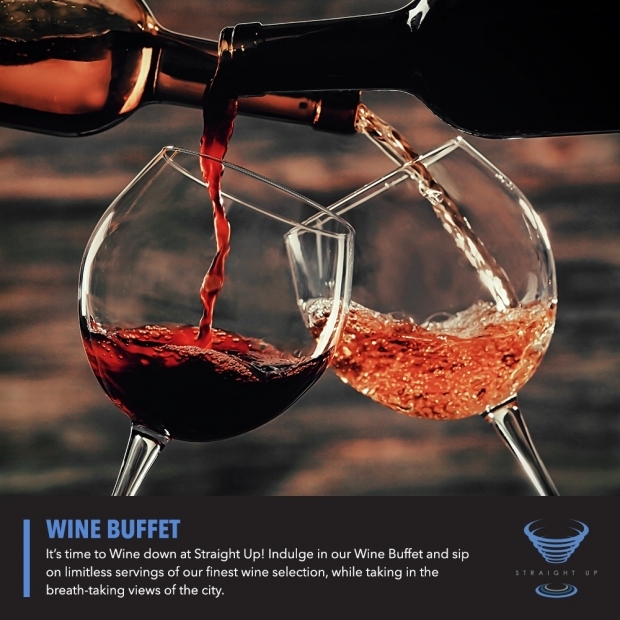 Indulge in our Wine Buffet and sip on limitless servings of our finest wine selection, while taking in the breath-taking views of the city. Available daily from 4PM to 8PM. For inquiries and reservations, call 739-8888 or e-mail [email protected] om. Terms and conditions apply.